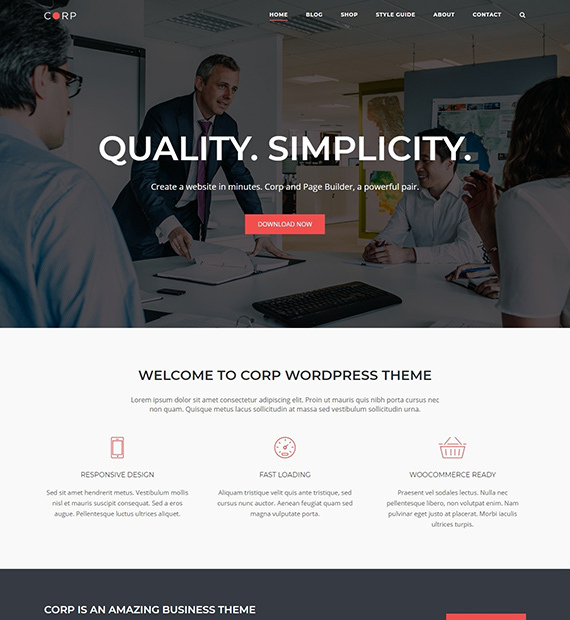 Corp is a fully responsive, lightweight WordPress business theme. SiteOrigin has developed this theme beautifully and has put their entire attention on the design and quality of it. Moreover, it works perfectly well with the SiteOrigin’s page builder. Thus, even with the minimal coding knowledge, you can easily customize this theme. Besides, it offers a multitude of themes options along with the options for font icons, header layouts, website colors and more. Furthermore, Corp is WooCommerce compatible as well.